LRA is very proud to be a 3rd year sponsor the 201 9 Farmers Market. All. Season. Long. In fact, we got a little rush when we saw this time lapse video of the early morning set up here. We just wish we could fast forward to May 18th so we could start our shopping sooner! 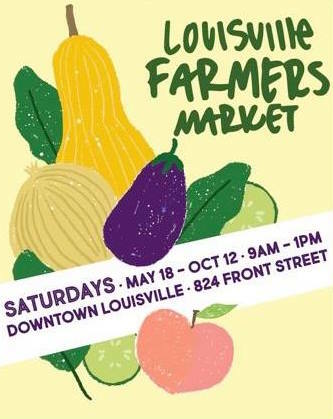 Farmers Market will be held every Saturday from May 18 to October 12 from 9am to 1pm and is located at 824 Front Street in Old Town Louisville. Plus there are four more locations this year in Erie, Golden, Longmont and The Highlands! Don't miss a date! Check out full schedule, vendors & entertainment here! We just love supporting this community event so much, that we invite you to print out a $2 off coupon for any visit to the Louisville Farmers Market this season! Just scroll down, print and go!